Thought these alligators were pretty cute at Sawgrass Mills in Sunrise, Florida. 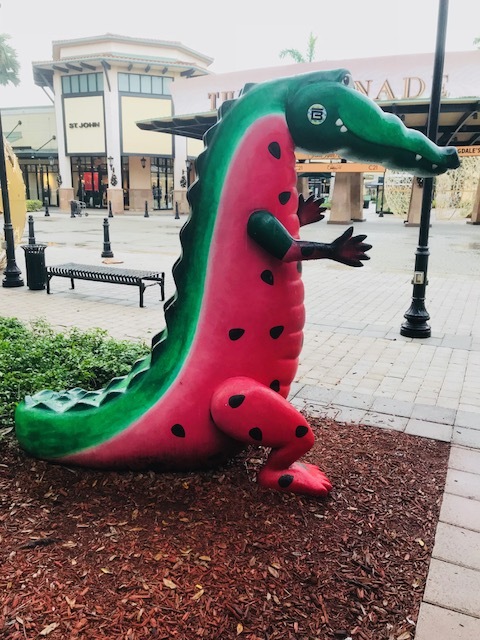 Sawgrass with over 300 stores and outlets is the 10th largest mall in America. And much of it is very upscale--apparently, the economy is very good for some people. By the time, we got out of there, my head was spinning with sampling the stores and merchandise. 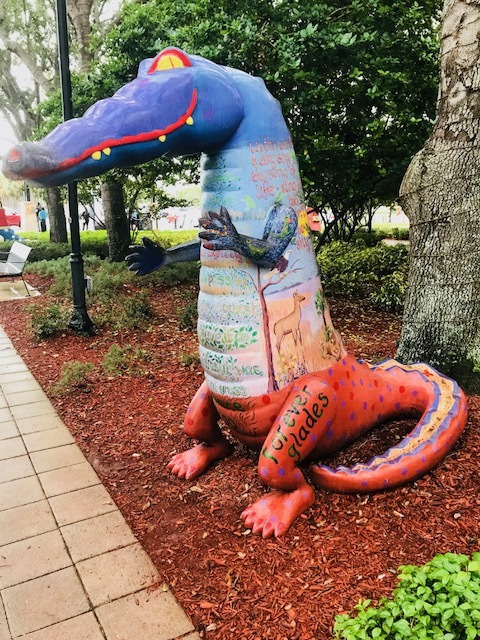 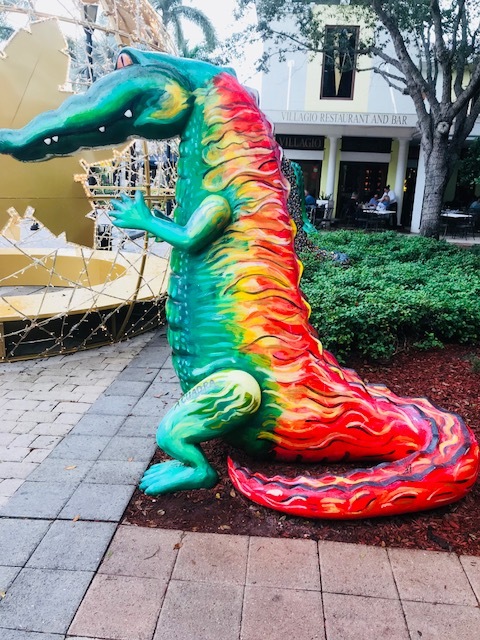 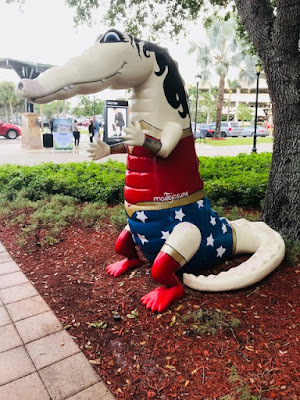 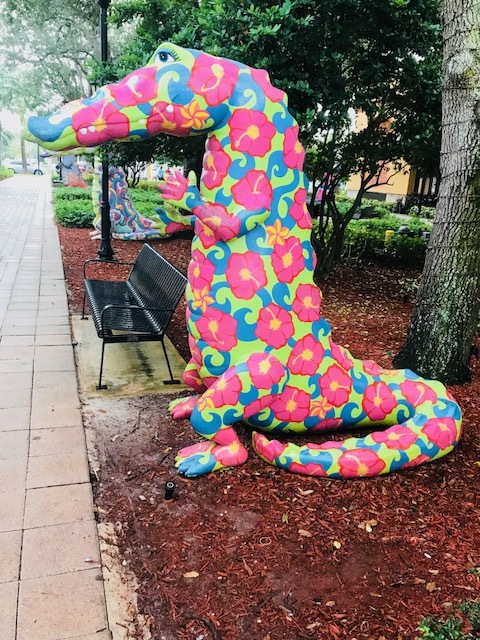 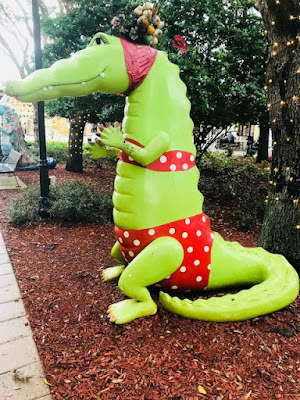 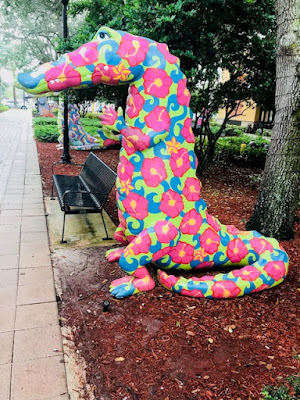 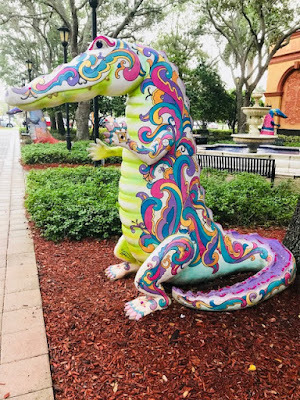 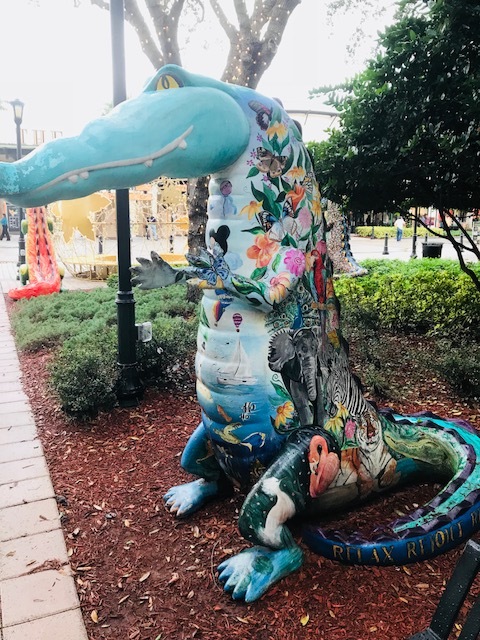 It was a delightful retreat to pass some nice outdoor eateries by the Colonnade with these creative and colorful alligators. 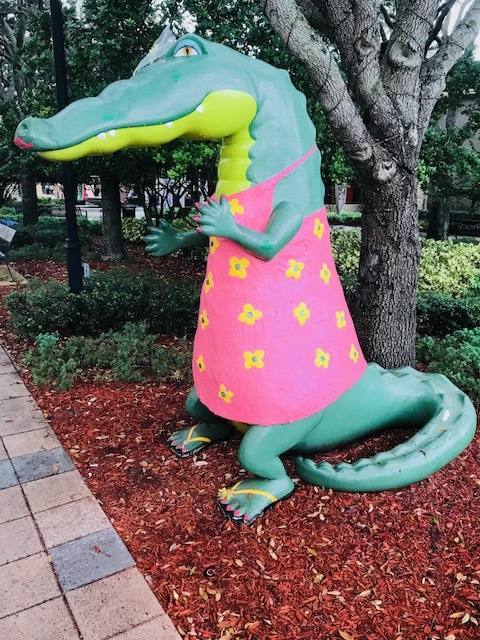 Remember most of this place was built on Everglades swamp, so there are plenty of real alligators to go around. 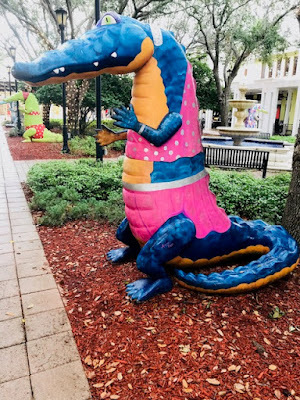 #7 - The colorful blue, pink, and orange gator.